Samurai Saws--A Brand on the Rise! 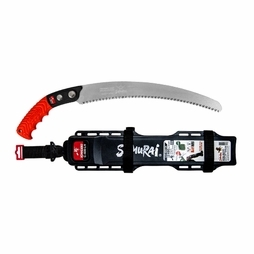 Samurai is still considered a best-kept secret by many arborists. They know that Samurai Saws present a tremendous value and cut extremely well, despite the fact the brand is overshadowed by its Japanese rival, Silky Saws. 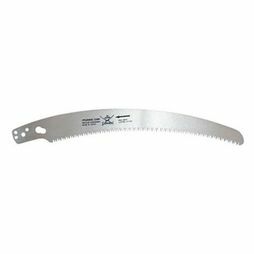 While Samurai does not have a huge portfolio of saws to choose from, the saws they do offer have a strong following and high satisfaction rating. 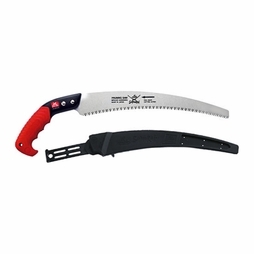 For pure affordability without compromise, check out the Samurai Ichigeki 13" Curved Saw. 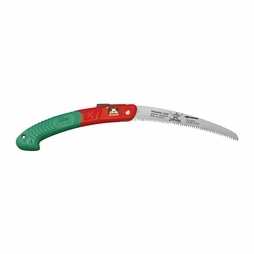 It's the right size for most arborist pruning jobs, is lightweight, cuts quickly on the pull stroke, and even includes a plastic scabbard with a detachable belt clip. It's less than half the price of its competition from other leading brands. 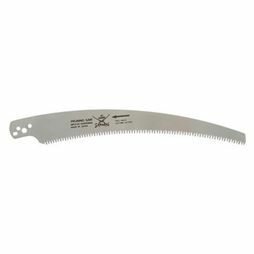 And if you want to go one step up in quality, then check out the Samurai Ichiban 13" Curved Saw. You're essentially getting the Ichigeki footprint, but with a premium blade. 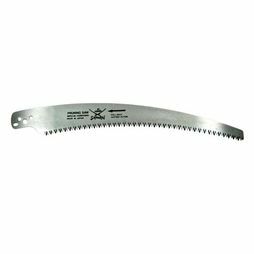 But the good news is that you do not pay a premium price for this saw when compared to other models and brands on the market.